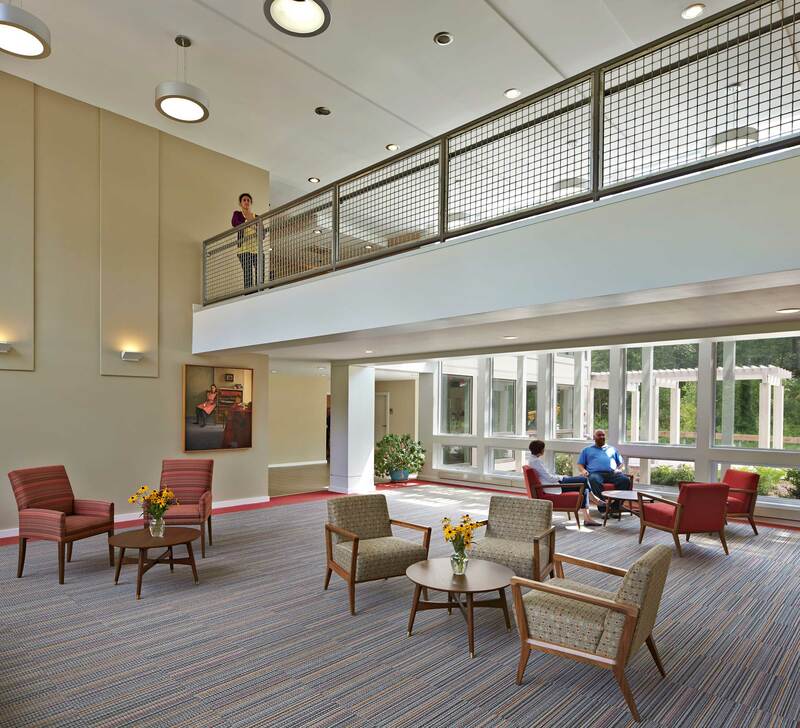 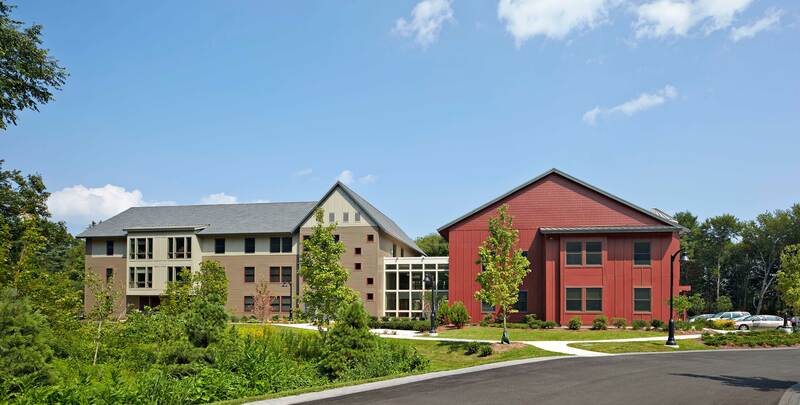 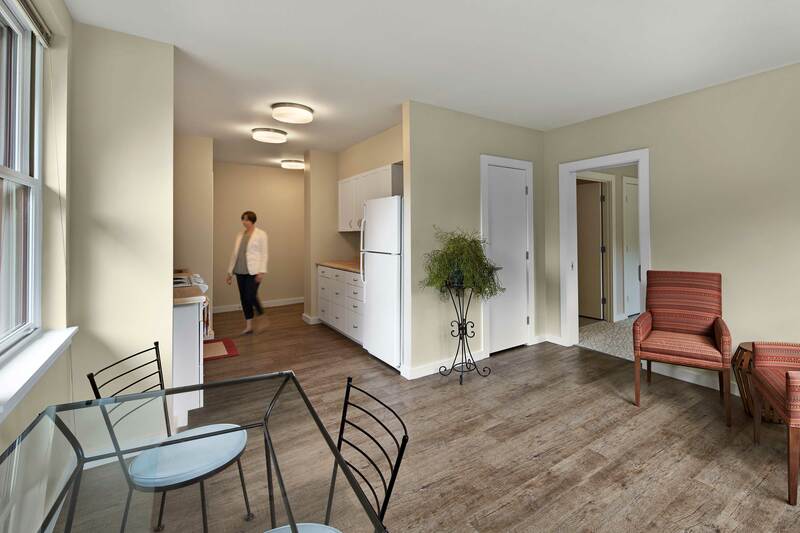 The Neighborhood of Affordable Housing sought to transform a 45-acre parcel of land that sits in a classic New England landscape into an affordable senior community. 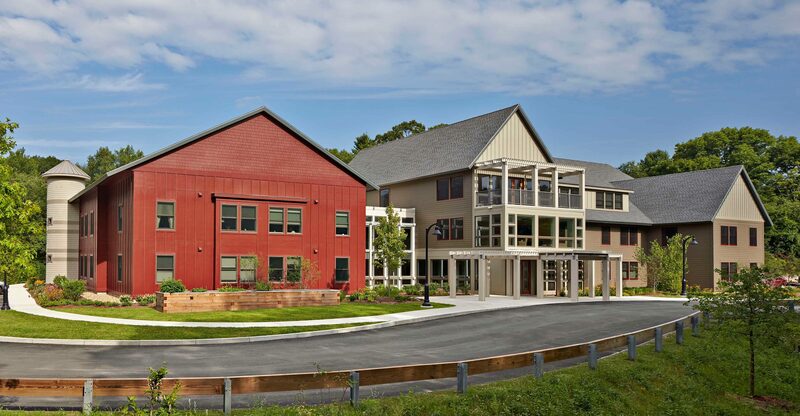 The development was to be a single building providing a range of rental housing for a variety of incomes for those who wish to live in the Town of Carlisle. 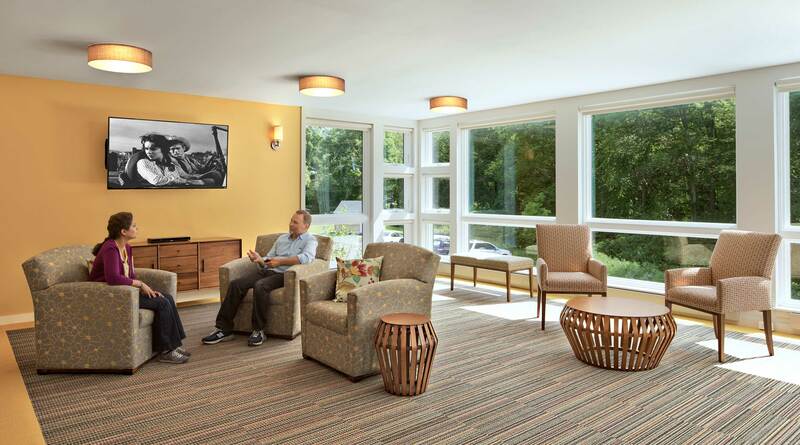 The residents benefit from accessible surrounding landscape and units that can be adapted to persons with disabilities as needed. 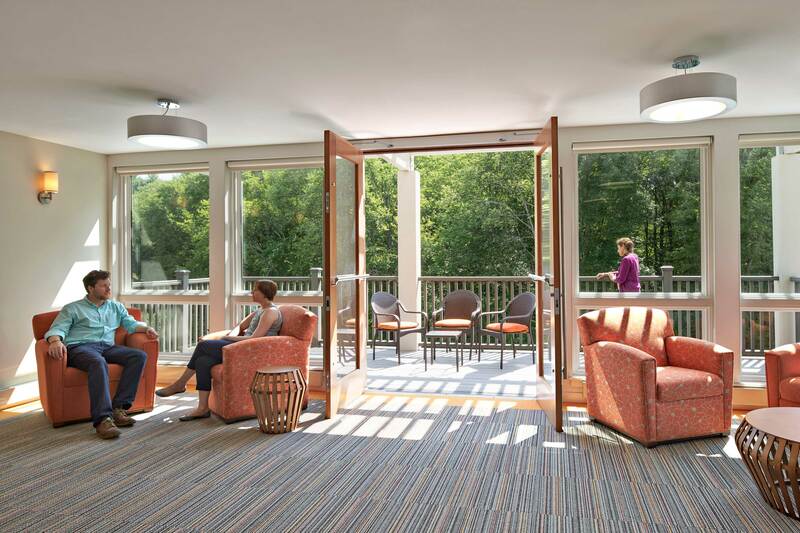 Paved pathways provide easy access for seniors to enjoy the surrounding landscape. 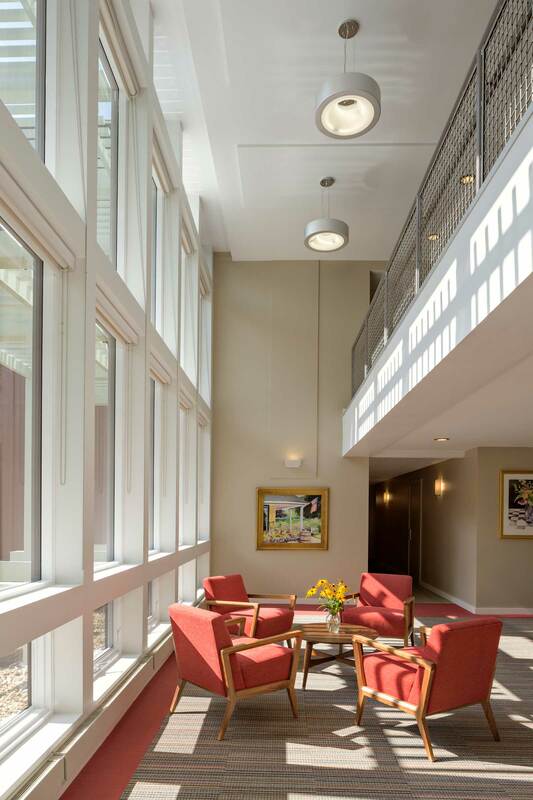 The incorporation of large windows into both the units and common spaces maximizes the amount of sunlight entering the rooms, creating warm and inviting environments. 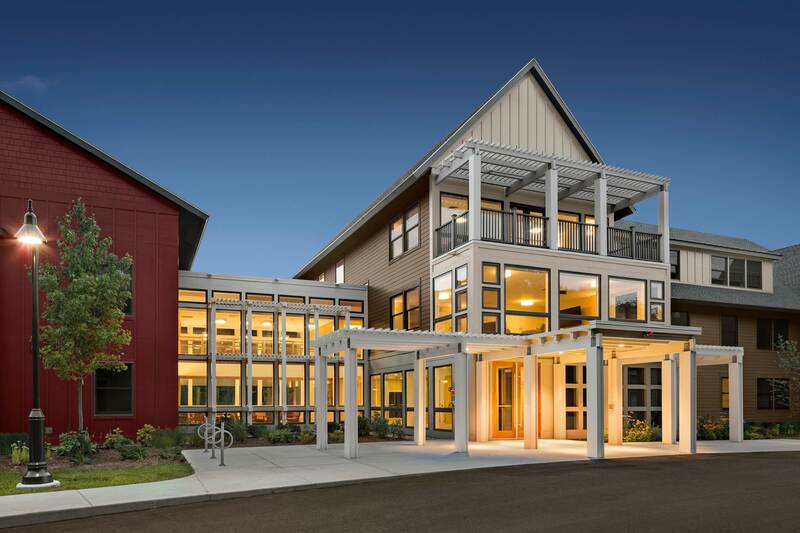 The building also meets the Energy Stretch Code adopted by the Town of Carlisle and achieved LEED for Homes Gold Certification.